Pinnacles Gallery is a purpose-built Gallery space within the Riverway Arts Centre in Thuringowa Central. The Gallery opened in March 1996 as part of the new Thuringowa Library and Council complex, providing a space for the display of a diverse range of art, social history and educational exhibitions to serve the needs of Thuringowa’s residents and visitors. Pinnacles relocated in 2006 to our current location within the Riverway Arts Centre, becoming the only purpose-built gallery space in Townsville. The Gallery offers a multitude of ways for us to present artwork and has the capacity to deliver multimedia artwork presentations. Pinnacles Gallery can be found at the Riverway Art Centre, across from the TicketShop box office. We encourage all local artists to sign up to our e-news. Information is sent out about opportunities, proposed exhibitions, professional development programs and expressions of interest for public art commissions. At Pinnacles Gallery we have one main exhibition space, as well as running two Community Access Spaces: The Galleria in the foyer of Riverway Arts Centre, and YourSpace at CityLibraries Thuringowa Central. 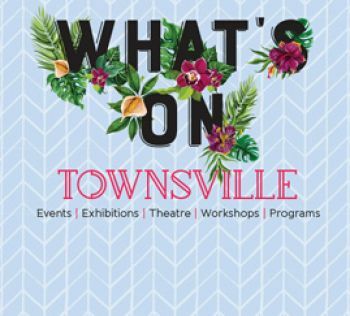 Our current and upcoming exhibitions can be viewed at WhatsOn Townsville. We have delivered many high calibre exhibitions over the years. Take a look at some of the previous exhibitions below. The Pinnacles Gallery shop is open during standard gallery hours and sells a wide variety of items including artistic jewellery, Lomography cameras and accessories, postcards, catalogues and more! Group exhibition tours are available upon request and prior bookings for these are essential. For questions or further information about our programs, membership, venue hire, or to place a booking, please contact us.